The WSOP 2018 begins tomorrow, with tens of thousands of poker players heading to Las Vegas to take part in various events. The World Series Of Poker’s 2018 PokerGO schedule is full of tournaments and those who can make the trip hope to head home as a gold bracelet winner. For those of us who cannot attend, the WSOP can still be enjoyed. 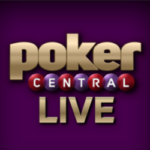 Poker Central will be expanding their streaming schedule for the 2018 series, offering players access to content on PokerGO. 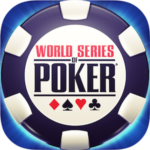 The subscription platform will be streaming content of the WSOP from June 2nd until July 17th. This is the second year that PokerGO has featured WSOP streaming and players, as well as fans of the series, have come to enjoy watching as players take part in the prestigious tournament events. After feedback was provided by fans, Poker Central has announced that coverage will feature several non-hold’em events along with hold’em action. Players wanted to see more streaming of poker variants rather than the traditional Texas Hold’em. Poker Central along with ESPN will be providing preliminary live coverage of the WSOP Main Event, which will take place from July 2nd to the 14th. Coverage will also be provided for the Big One for One Drop which has a $1 million buy-in, sure to feature plenty of poker pros. Fans of the game who do not have a PokerGO subscription can get ready now so all the action can be watched as the WSOP gets underway at the Rio All-Suite Hotel and Casino in Las Vegas.